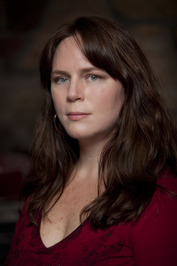 Michelle St. James aka Michelle Zink is the author of twenty published books and seven novellas. Her first series, Prophecy of the Sisters (YA), was one of Booklist's Top Ten Debut novels. Her work has also been an Indie Next selection and has appeared on prestigious lists such as the Lonestar List, New York Public Library's Stuff for the Teen Age, and Chicago Public Library's Best of the Best. Her character, Alice, won the Teen Read Awards for Best Villain against Harry Potter's Lord Voldemort. She lives in New York with too many teenagers and too many cats. To ask Michelle St. James questions, please sign up. wow, just wow. loved Ruthless. I was wondering if Luca will have a story and maybe a love interest? Michelle St. James Thank you, Johnnie-Marie! That means so much to me. Funny you should ask about Luca; I'm planning a novella for him and his love interest that will…moreThank you, Johnnie-Marie! That means so much to me. Funny you should ask about Luca; I'm planning a novella for him and his love interest that will tie into the Mob Boss series. My next series (the first book will be out in December) is called the London Mob series and will be centered around Farrell Black. Thanks again for reading If you're willing to review on Amazon (or elsewhere), I'd so appreciate it! When will reckless be available to read? FEARLESS, the second book in the Mob Boss series, releases in less on Monday September 7th. The final book in the series, LAWLESS, will be out the following month in October. So hope you enjoy(ed) Ruthless! I'm so thrilled to announce that The Awakening of Nina Fontaine, my much beloved older woman book, released this week. J.A. Huss is a master of dark romance. I was totally sucked into this world and immediately downloaded the next book! We’d love your help. Let us know what’s wrong with this preview of Sweet Sinful Nights by Lauren Blakely. We’d love your help. Let us know what’s wrong with this preview of First Touch by Laurelin Paige.